After the Spiritual Preparedness comes the Mental Preparedness. This is not to say that any one Principle of Preparedness standsalone. Rather all 10 of them work very well together. However, there is indeed an order of prioritization. Where so many folks believe it just entails food, water, ammo, and gold, a wise prepper will understand that none of that will do a person any good if it’s not supported by the “know how” and the mental fortitude to use it. 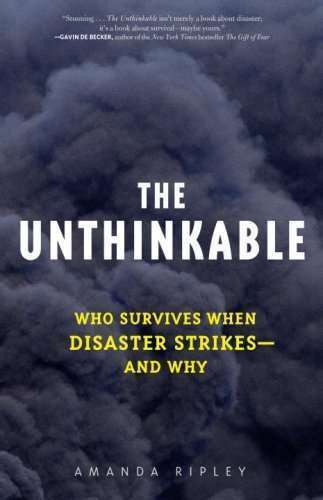 In her book, “The Unthinkable: Who Survives When Disaster Strikes and Why”, author Amanda Ripley provides ample support to this claim. She interviews post “crisis” survivors, including those from 9/11, and was able to clearly map out what the difference was between those who made it through and those who simply froze and suffered. Time and again when I’m asked to teach “some moves” for self-defense or marksman skills with a firearm, I have to first establish the fact that a mental foundation must be in place before any “move” or use of a weapon can be successful. Avoiding the mental work that it takes to be accepting of a crisis scenario will actually cause you to freeze when confronted with the reality of that scenario. For example, as I’ve mentioned before, 9/11 wasn’t the first attempt to bring down the World Trade Centers. Over a decade earlier another bombing attempt was made. After which, several persons got special training as to what to do under such circumstances. However, the disturbing fact is that many of these persons simply froze because they didn’t do the mental work—the replaying, the practicing, etc.—of their training. In fact, some of the security personnel didn’t even know where to direct folks to the emergency exit because they had never used the exit personally—only saw the layout on a piece of paper. This particular Principle of Preparedness deals with the knowledge that one must have in order to be self-reliant. I call it “Know How” and it seems to be never-ending. From how to start a fire 101 ways, to how to position mirrors and pictures in your home to aid in your home security, to how to actually use that solar oven you bought. Unfortunately, many sit far too comfortably in their book learning. I, and countless experts in the world of brain power, have concluded that real know-how comes from applying what you learn in a book, etc., as much as possible. This is such a critical aspect of strengthening one’s mental preparedness. It’s one thing to have the solar oven. It’s another to assume that it’s relatively easy to operate. But it’s such a stronger source of peace in one’s preparedness efforts to have actually used the solar oven to the point that confidence is instilled. Literally, when you can instill confidence in how you might handle an anticipated scenario, you do more for your preparedness efforts than countless amounts of supply. I love the fact that strengthening my Mental Preparedness doesn’t have to cost me money. Thus there’s never the excuse of “I can’t get prepared. I can’t afford it.” Books, videos, the internet, YouTube, community classes and conversing with other folks who have learned specialized skills goes a LONG way towards enlightenment. I even find that watching a “doomsday” kind of movie or reading a similar themed book helps to actually lessen any anxiety as I allow my mind to play through some of the scenarios and ask myself “What would I do under these circumstances.” The more you can allow your mind to prepare for what could be a “brain-freeze” moment, the less likely you are to experience that “fog of war” obstacle which seems to slow down time, and eliminate any mental preparation you learned. In the name of Mental Preparedness, you might catch me repeatedly pulling an imaginary firearm from my hip, and going through the rest of the steps to accurately employ the skills I have learned. I want that movement to be so natural, so fluid, that even if I am faced with a horrific moment in which I would need to use my firearm for defense, I won’t have to stop and think about “what to do.” Our own mental preparedness works very much the same way. Practice. Muscle memory. Asking ourselves what would we do under a set of circumstances and then mentally playing through that. It’s almost painful sometimes to watch a movie with my husband as he’ll frequently pause it and quiz me as to what I would do under such and such circumstances. If I don’t answer quickly and confidently, you can bet I’m in for another “learning moment.” *grin* While there’s a great deal that’s covered under the Principle of Mental Preparedness, one of the aspects that I feel folks forget is the learning of alternative skills by which they could earn an income if there was a financial collapse or a long-term interruption in our electrical world. 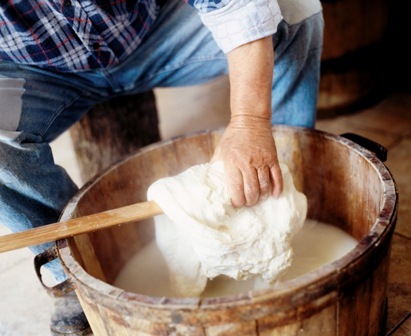 Good old fashioned skills and trades are just that—so old fashioned and nearly extinct. I suggest that as a part of your Mental Preparedness you think about a world that better resembles the early 1800’s and ask yourself what do you think you could do to earn the food and shelter you’d need to provide for your family? Replacing conveniences is also an important part of Mental Preparedness. As I’m using my Bosch Mixer to make my bread, I have to ask myself, “OK. How would I make my bread without this.” I want to make sure that modern technology doesn’t have me blinded as to the skills which I would need amidst a tougher time. So I’m always on the look out for “antiques” that I can use to replace the technology that I’ve come to rely on so heavily. Items such as a rug beater, an old fashioned iron that you heat on the stove, a way to invert the air-flow on my tire pump so that I can still preserve food in Mason jars or FoodSaver bags, a hand-beater, solar cells, etc. will come in handy when the time is right; so it pays to be better mentally prepared by knowing how to use them all. I’m certain that I’ve become a book junkie in part because of my quest for better mental preparedness. Everything from how to take care of a bullet wound to how to eliminate slugs from my garden I’ve absorbed and then put into practice (not a REAL bullet wound, of course) after reading about it. There’s no such thing as a useless book sale in my world. Lastly, the mental fortitude that one needs to have in order to endure challenging times is vital. There is so much to distract us in today’s fast-paced, hectic environment. Now is the time to take a step back and determine what we are willing or not willing to do under a set of circumstances. For example, what will you do when someone you don’t know comes to your door asking for help in the form of food, money, or even chemical substances? What are your plans for defending your family? What are your plans in the event that you need to leave your home in a hurry? What’s your path of travel that you have laid out that is least likely to be the same as everyone else’s? 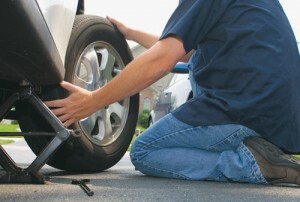 Do you know HOW to change a tire, hot-wire a car if need be, and how to filter water with nothing more than sand and dirt. Yup, you could spend the rest of your life working on the Mental Preparedness and barely making a dent, but I assure you that going through the processes to learn what’s important to you and even just what’s interesting to you, will go a long ways in bringing you peace in any scenario for which you mentally prepare. Thank you once again Kellene, for giving me something to think about and something to do to be better prepared. I read a book by Louis L'Amour "The Walking Drum" What you put in your mind is yours forever and it can never been stolen. Found a very cool website that is working without modern tech or power. But you can make what you need. From water filters to critters, refrigerators to kilns at all kinds of levels using very basic, scrounged or cheap stuff. I really love this section of preparing best! It makes me to stretch my mind and learn new stuff. All of Rome was built using a plumb bob, a square, a level, levers, pulleys, geometry and cement. For those willing to use it, we humans have unlimited imaginations and can use them to survive under really rough conditions. I made a washboard out of an old refrigerator shelf after Katrina hit because if I hadn't done something, our soaked clothes would have been ruined. I couldn't afford to replace those clothes so I improvised. It was rough on the knuckles and wringing out the jeans was a real witch, but it was satisfying to be able to save that clothing. I even had my neighbors asking if I'd wash their clothes too and I did. Now I have a good old fashioned washboard for the next time, but I'm happy that I was able to find a solution to my problem on my own. Think, think, think! Us soldiers had a reinforced rubber bag and nylon exterior, and a plunger. It works but rinsing is a pain. Its amazing what works when we got no choice. I buy "construction grade" garbage bags now. A little water, soap, all warmed by the Sun works wonders. If you have some tiny minions that can beat up the bag and a bag that can take some abuse you can have not only clean clothes but those minions can make Ice cream and whip cream or butter. I'm thinking butter mostly. But Mom got an Ice cream ball. We'll see how it works this summer. The fastonline website is incredible, thanks. Thank you again for great info Kellene. These are points well taken. 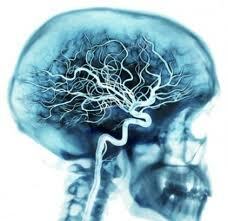 Another aspect of mental preparedness is the ability see and understand the reality around you. It's called situatioal awareness and involves being aware of what is happening around you to understand how information, events, and your own actions will impact your goals and objectives. As an example, read the business section of your newspaper this morning and see what can be learned. I would like to encourage everyone to take a CERT course to be better prepared to help in our community in case of a disaster/emergency. CERT stands for Community Emergency Response Team. If you live anywhere near Metro Detroit, there will be a class held in April. Go to www.Isaiah5812.org for more information. It will be a 2 hour drive for us but we will be there! I took a CERT class and was SO glad I did because that's where I finally met other people who are preppers like me. It was reaffirming to know there are people in my community who are as concerned about prepping as I am, and who do NOT think I'm crazy. I became a prepper two years ago..cannot believe how much confidence it gives me knowing I am prepared for almost anything. I have food--fuel--water and firearms stored away. I have my BOB prepared in each car and a plan. Little things people do not think of...Rope--Duct Tape--Extra Propane--Fire wood. Its a great feeling to know one can take care of themselves to a certain degree. Do you think food, water, and bullets will keep you safe in a true societal collape? Can you really belive that your house shall be the only one on your block not visited by the authorties/hoarder police? Can you and whatever "krewe" you have prevent a simple petrol bomb to the roof burning you out for the chance to find a single can of Spam in the ruins? These are hard questions for the mentally prepared. Luke, clearly you're new here. Before you go off insulting the fine readers of this blog, or myself, perhaps you'll want to check out what has actually been written on the topics of which you speak, i.e. "an AR-15 in the hands of a competent person gets 'em before the petrol even leaves their hand." Whether you're new, an intentional agitator, or even something more devious, please know that I do not negotiate with terrorists of any kind whether they be real people or simply deceptive ideas, nor do I tolerate such bullying of others. So, keep it nice, or you'll be blocked just like any other potential problem. I'm not planning on being the only one on the block. We are a neighborhood and as such will stand together if we have to. I have already discussed this with other families on the block and we know we will be carrying others who haven't hopped on the preparedness wagon but we know that one family by itself in an urban/suburban environment won't make it. We all have different skills and hopefully pulling together through ever what comes - natural or man made - we can make it and preserve our humanity. Grannytraveler, I salute you! May I ask how you approached your neighbors? I have been quite nervous about doing that; we live in a semi-rural area (semi-rural meaning there is a cluster of houses around us, most with 5 - 20 acres of property, within a mile stretch - probably 20 houses or so, more on the side roads, surrounded by farmland and stateland). I am of two minds - the first wanting to know who I can depend on in a crisis, the other not wanting ANYONE to know I am a prepper; some of these 'neighbors' would probably try and 'help themselves' to our supplies in a crisis. No one knows each other well, with the exception of a very large extended family that have about 1/3 of the homes here. We call one another if someone's horse is running loose, etc, and wave as we pass each other. Any input on what to say to them would be appreciated! Some of the people in this neighborhood have been here for a long time. Back in the nineties there was a lot of publicity and preparing for "the big one" (this is California). Many of us got on board then and used to make group orders together. We are renewing those ties. Recently there has been a lot more emphasis placed on preparedness by local and federal government. Riding along the freeway there are signs from FEMA asking if homes and businesses are prepared with websites listed. Gee, I wonder if they're not telling us something!!! There have also been community preparedness fairs put on by police and firefighters, etc. It is amazing who you meet there. There are also four LDS (Mormon) families on my street alone (enough said) and others I met through CERT although some of those are also from the first group. I recommend that you have some kind of neighborhood meeting to talk about preparedness for whatever kind of natural disaster is prevalent in your area. We did this 20 years ago true but the police and firefighters, etc., did come out to our meetings to talk to us. Try asking them to come out now. All they can say is no. We know that most likely they won't be around when the SHTF but they know that also and have good pointers. Use CERT as primary reason for the meeting. See what kind of interest you can generate among your neighbors. Don't go telling everyone what you have, just say that it is time that people become more self reliant and to prepare for economic downturns (everybody understands that because everyone is going through it or has family going through it). Also Katrina is still in everyone's memory and we know how effective FEMA was with that situation. There will be deadbeats in every area. I just try to do the best I can. Prepare for the worst and hope for the best. I have found simple kindness works pretty well. Taking over a loaf of bread, some cinnamon rolls, some veggies from the garden. Offering to help out works wonders. I'm trying a new recipe, What do you think? A pot luck and all homemade goods. We used to have a "Welcome Wagon" That welcomed folks to the neighbor hood. Or you are new here and this is great restaurant or store. Why are we afraid to talk to our neighbors? Offer to help, some folks will refuse but others will take that help and run with it. Most of those will give back. Those are the folks you want. Do soup or bake off. It's never easy to get folks out of that box they've built. Be honest and say you are trying to build a network. The folk's that slam the door in your face have given you your answer. But most folks tend to be open to it. If someone showed up to your door with fresh baked rolls, cake or cupcakes? Wouldn't you welcome them in and put on a tea, coffee or some other beverage? I've had homemade bread, jerky and tomatoes to give out for free. I've never had a door slammed in my face. Maybe it's an Idaho thing! Melanie and Dora I'm glad you like the site and got some good out of it. It really is awesome. I've been reading Kellene for 2-3 years and she told me to go out and learn and test her. Oh! muffins she's right, again. I think I may have convinced her to buy an oz. of Silver. Nope I lose and have lots to learn. I always lose. but I keep challenging the teacher. I must be slow!! The Foxfire series has a LOT of good information about how to survive with the old ways. Some of them give more superstitious information than practical, but overall the gems are in there! Grannytraveler, That is funny you should bring up FEMA here in Southeast Texas they have been advertising on the tv and radio about everyone being prepared... I tell you though after going thru Rita and Ike they are the last people I would take advise from or wait to help me...After 5 days the semi's did have any clarification on where to take water from FEMA so they took it all out to the airport and dumped it and left town. Yipee Kiayaaa! I'm not recommending FEMA. I'm planning on relying on myself not them. I just think it's kind of strange that they have all these billboards up promoting preparedness. Now you say they're even promoting preparedness in TX. It seems even FEMA knows that they are useless. Why else all the advertising? Thanks for reaffirming my lack of faith in FEMA. Katrina was awful and it appears they haven't improved much since. Does anyone remember a folk tale from their childhood called "Stone Soup"? These returning, starving soldiers only had an empty pot with them. People were unwilling to share any food with the soldiers because food was scarce. So the soldiers built a fire, put water in the pot and a couple of big stones, and when the locals asked what they were doing, the soldiers answered "making stone soup and boy is it delicious!. The only problem is that it still needed a little something extra". The locals all went home and found something to bring back to put into the soup. Of course the result was a great soup and all shared in it. I think in elementary school it was used as an example of cooperation. I also see it as a great example of mental preparedness on the part of the soldiers. Love what you are doing. I've been seriously preparing and putting back for the last couple of years. My husband is not as concerned/does not feel the urgent need quite as much as I do. That said, he does allow me to purchase food and other necessities and never says a critical word about the cost. He also agreed to give up a bedroom and convert it into a storage room. My problem is that he is not on board with buying a firearm for protection. Call me old school but I don't generally like to do things without my husband agreeing and being on board with me. We have three chilkdren at home and this is the one area of being ready that I feel concerned over. Any advise for me? Thanks. I have to say, I dont' think I've ever had a woman ask me how to get their husband on board with self-defense/weaponry. That's definitely a switch. And by the way, love and respect are not "old school." I don't consider you old school at all on this issue. A firearm is a very touchy subject with folks who are not comfortable with such--I ought to know, because I was surprised to find myself with guns in the house when I first married my husband. (It was one of the few topics that we simply failed to discuss prior to marriage.) There's simply no such thing as a mild opinion when it comes to firearms. My suggestion is to get educated with facts and share them with your husband. That's how my husband got me to come around...bit by bit. He shared bonafide facts with me and not rhetoric. Just so you know, children who are raised around firearms are much less likely to have an accident at another person's home. Also, CDC reports that children are more likely to die in a 5 gallon bucket than with a firearm. The safest place to "store" a firearm is actually on one's person. These are just a few things that I've learned over the years in teaching women about firearms and self-defense. Susan, I think you got a keeper. Many folks complain about that we are silly and worst words about prepping. Give him a big hug cause he is exceptional to let you do this without a lot of grief. On a firearm I'd go 12 ga shotgun to start. Very intimidating, buckshot usually does not penetrate walls compared to a pistol or rifle round. Training others I'd start with 22 long rifle. A gun is just like knife or a hammer. Just a tool, I'm guessing a 10 inch Chef's knife is not an issue. You are just safe with it, and teach the kids to respect but not fear using it. Same with guns. Yeah I was raised a around guns, and I was dumb kid at times. But I was raised never point a gun at something I didn't want to kill. All guns must be treated as loaded at all times. I am so proud of you. You are a feisty, incredibly knowledgeable lady who backs up everything you say with facts and an educated opinion that is irrefutable unless your are that Martian you mentioned. There is simply no convincing these unplugged people who can't see the forest for the trees. Keep up this awesome work and God bless you for your courage and conviction. Thanks to Kellene and Jamie for excellent advise. Yes, I do have a keeper! Kellene I love this site, it's so practical and full of information but your writing style and emphasis on the mental and spiritual aspects really resonates with me. I am very early on in this journey, only started opening my eyes to preparedness in the last couple of years and my husband and I have a very long way to go. It's great to hear your thoughts on how to avoid panic and make positive progress. We live in Bristol in the UK which was recently hit by riots (not as bad as London or Manchester though). Since the riots people are thinking harder about this stuff I've noticed, but of course if it remains just 'thining' there will just be hideous panic in the event of a crisis. Living in a city with no access to land and in a terraced house, we've been basing our plans on being relatively mobile, so Sam bought a sailboat. In March we plan to go on a journey through Europe and meet other preppers. We've got a crossbow but need lots of practice with it to get that mental prepareedness you spoke about. Wish we could make it as far as the States and meet you but maybe one day! I think it's more difficult in the UK to persuade people about prepping. There's such a tradition of self-reliance in the States that is absent here. Thanks so much though, I will keep devouring your site. You know, I think it's sad that you're right--there is more of a self-reliant attitude here in the U.S. but what's sad about that is that that's not saying much. But I'm doing all that I can to make a difference there. Glad you found us, Naomi! Naomi, you're in our prayers. Awareness is huge percentage of preparedness. Kellene, you have made a huge difference in the lives of so many of us. I cannot express how much improvement your experience and teaching has made in my peace of mind and quality of life. Reading these articles on preparedness caused me to look around and I realized that I have been a "prepper" of sorts for years. My parents taught us basic skills of survival as part of our life. 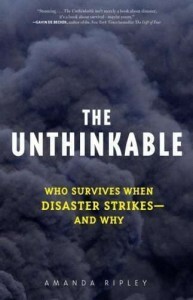 I am aware of many people who have no clue as to what to do in a supply disaster. Living in Florida there are many challenges besides govt and economic shortfalls. Nature itself has taught us a few lessons in survival. Granny, you got a good thing going on and I hope that others will learn from your experience as well as from Jaime and Kellen. 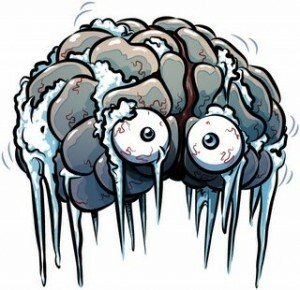 I have seen too many people freeze from being mentally jelled. Thanks for the articles and keep them coming. This is a really good article, Kellene. I think it's the best that I've read on the topic of prepping. You said, "...how to position mirrors and pictures in your home to aid in your home security..."
I'd like to know more about this, please. I write about that in the Castle Defense article. Just put that title in the search bar. I appreciate the advice about looking for a CERT class. I'm going to try that. Somebody asked why don't we get to know our neighbors. I think it's because we are concerned that they'll take advantage of us. The last time I went out of my way to welcome a new neighbor he knocked on my door at the least opportune times and asked to use my phone. I was really, REALLY not comfortable having a strange man in my house. After the first couple of times, I just stopped going to the door. Do you think being a teacher would be a viable source of income in a grid down situation? Maybe people would be too intent on merely surviving to be concerned with education? I always say that I don't believe that the Scriptures tell us to "love thy neighbor only if they are easy to love." Also, I don't answer my door if it's inconvenient--period. Neighbor or not. I do so for security purposes and that's just a line in the sand. I'm not sure I'd rely solely on being an educator in a grid-down situation. There are many reasons, but there are a LOT of "preppers" who homeschool their children and I suspect there will be many more by then who will have discovered that public schooling was one of the worst things to happen to our society. Anyway, just my two cents. I'd definitely have a back-up. Besides, back-ups to back-ups to back-ups is the way of a self-sufficient lifestyle anyway, right? I want to just comment on this quickly. Like most of the rest of the readers have said, this is dead on. A quick story I have for you that shows this case in point about Principal 1 & 2 together. I was 23 years old, had gone on a blind date. While on that blind date my date and I were in a horrible car accident. Both of us were blessed to be a live and able to crawl up and out of this accident. As the accident was unfolding, the first thought and words out of my mouth were, "Please Lord don't let us die, stop this truck." Right after that the impacts happened and we were rolling over a cliff going 86 feet down the side of a mountain. I remember only bits and pieces. I remember waking up in the truck and saying to myself, "you have to tell your Mom you are okay and alive." So I crawled out and help eventually came. I recovered and took from this that I have been spared and needed to get my focus back on track. I didn't know which track all I did know for certain, the place I was headed before was NOT where I wanted to be. Months later I am back to work in a branch at a bank. Filing signature cards and I hear, "does anyone know CPR." I said yes, because I had to learn CPR before I could get my learners permit to drive. Had never used it before, but we practiced it so much. So without thinking anymore, I ran out to help. Mentally I was not ready for what I saw. An elderly woman dying before my eyes. There are things they did not tell me about in my school CPR class at all that happen when someone is dying. However, I had to get past this and fast. I was running to her as were two of my co-workers. My branch manager and another employee. For what seemed like forever we were saying I don't want to hurt her. Than I remember saying, "if we don't do something she is going to die." So, my branch manager did compressions, I gave the breathes, the other employee counted and checked for a pulse. We all worked as a team. I barely knew these people as I had only been back to work from my accident for 2 weeks. However, we all worked fast and steady until the paramedics arrived. When the man's voice said, "we have it from here you can step away". Relief set in. Someone asked me if I was okay and I just started to cry. I was okay and quick thinking about it when it happened. When I let myself catch up to what I had just done, seen and had to do. I began to process it and was overwhelmed. The paramedics revived the woman and she lived. Before they left they asked who performed CPR. The three of us said we had. He told us, you just saved this ladies life you should be proud. They told us had we not started as soon as we did, she would have died. The paramedic said, "if you would have waited 10 more seconds she would not have made it." He told us she should be just fine thanks to us. The rest of my day was kind of a fog and I just remember thinking, did I just pay back the gift that was given to me a few months ago? I was inspired to do more. To learn CPR again and to keep learning. To practice and think of how I could help. I even for a small time wanted to become an EMT. Then, I went on a ride along and saw some things, things that mentally I knew I would not last long if this was a job I was going to do every single day. I found my limitation one time when a child was hurt. That really was hard and I realized I was not mentally strong enough to save lives for a living. Those men and women that do are amazing in my eyes. As are those that fight for our freedoms. However, what I did learn was I needed to stay fresh with the skill set of CPR. You never know when you will have to perform it. I learned that sometimes you have to be the one to react first and others will follow and you don't have to react alone. I learned that mentally I wasn't ready to do all I had done or been through. Yet, I needed to get ready to be able to cope with and work through an event like that again. These events changed my life. I look back on them and say, "wow, I don't know many others who have experienced things like this, at least not back to back like that." My husband wonders why I think on the "what if's" of life when we get ready for a trip. I wonder why he doesn't or hasn't ever. Then I realize, he has not experienced a life changing event and I have experienced enough of them for both of us. I honestly don't want to panic if I a presented with them again. At least not to panic while it is all happening. There is a certain amount of emotions a person will deal with after events and you have to be ready to deal with those emotions too. When my kids hurt themselves, I some how manage to stay mostly calm. It depends on the injury. If it is really bad, like my middle child busting her head open, I handle it well right then. I oddly go right in and while I may shout for this or that, I am already assessing, bandaging and moving forward. My husband doesn't react so well when there is a great deal of blood. He freezes for a moment. Then he snaps out of it. It is funny, he is calm when I am not and I am calm when he is frozen. We make a good team that way. It takes some work though and you don't know how you will react if you have never had to face a situation before help arrives.